The bass is designed by Tom Clement and Jon-Inge Paulsen, a long-time customer and Clement bass player. The first Angel bass is a 6-string bass, featuring Hipshot hardware with a Type A bridge and lollipop tuners, all in chrome. It also features a custom tortoise pickguard that picks up the shape from the bass itself and adds both a retro vibe as well as a shallow bass ramp functionality. The body is made of one piece of solid swamp ash, which is beautifully finished in transparent white by Pat Wilkins (www.wilkinsguitars.com). 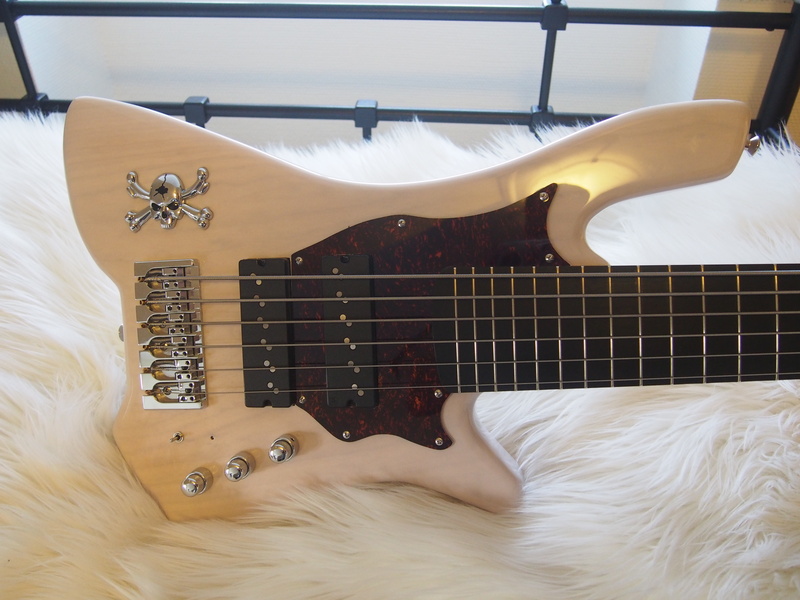 The first bass is owned by Jon-Inge Paulsen, and has gotten the nickname “The SnowAngel”. – The name Angel reflects on the people we love, the people who mean the world to us, the people we rely on to feel safe and to lift us through bad times. For me, my SnowAngel is a tribute to my girlfriend, she’s my Angel, says Jon-Inge. The neck features the classic Tom Clement shape, with a slim and very comfortable neck profile. 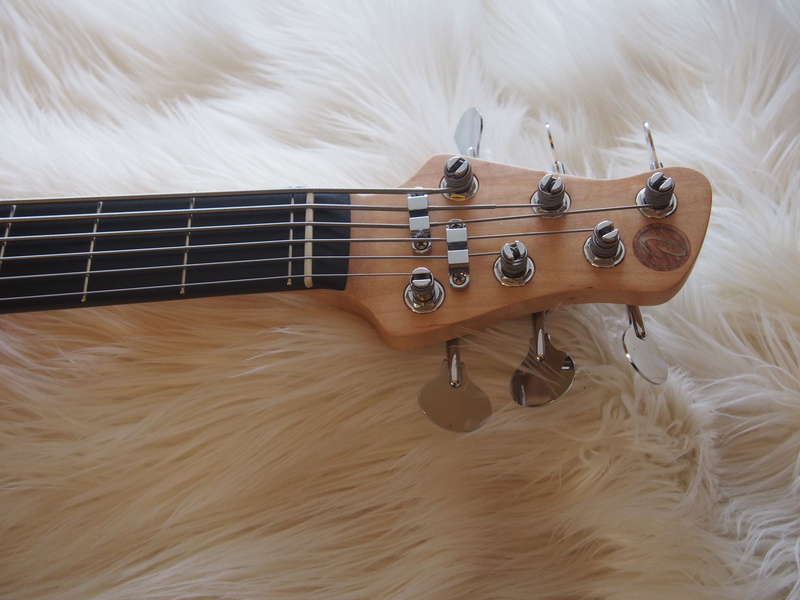 The neck is one-piece birdseye maple, with an ebony fretted fingerboard. 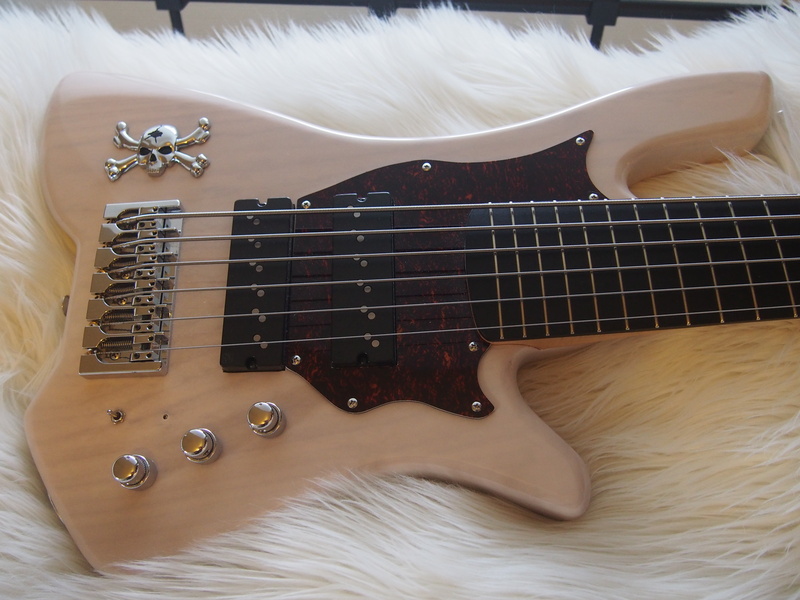 The bass features Nordstrand FatStack pickups and an Audere Pro-Z preamp. The electronics offer a variety of useful voices, given the preamps 4-band equalizer (Bass/treble and Mid high/Mid low boost/cut controls) and a master volume and blend knob. 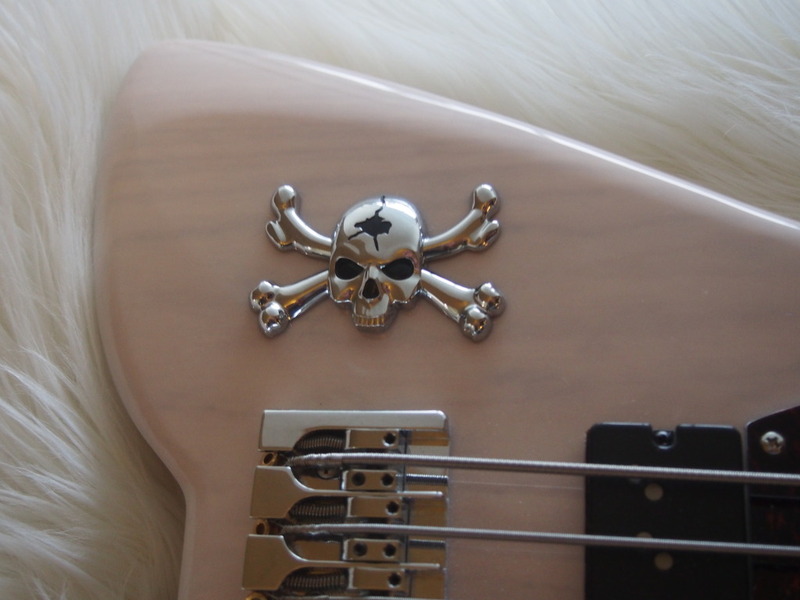 For passive installations, chrome Alumitone Bassbars from Lace Sensors will compliment the rest of the hardware of this bass. 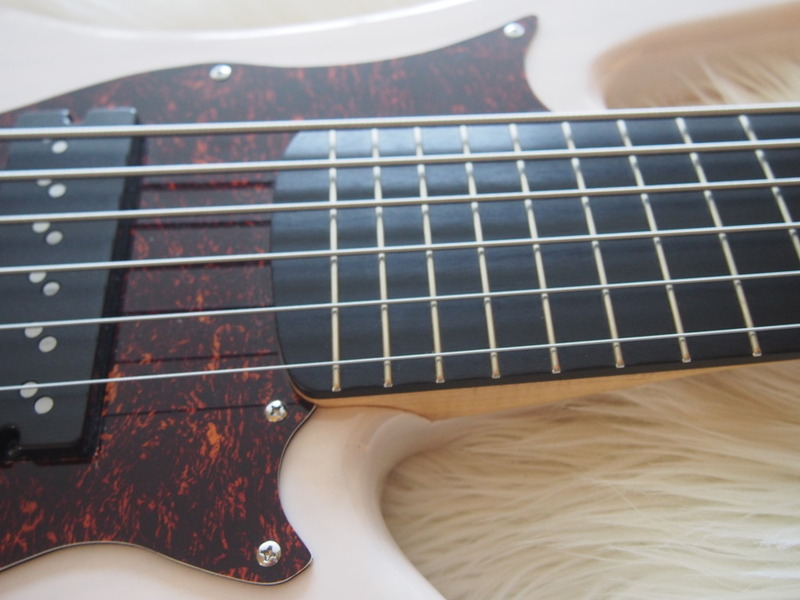 The bass is available in 4-, 5- and 6-string versions! The bass shape is big. Probagg has a template for this bass and can make a custom gig bag for the bass if needed (visit Probagg on Facebok). 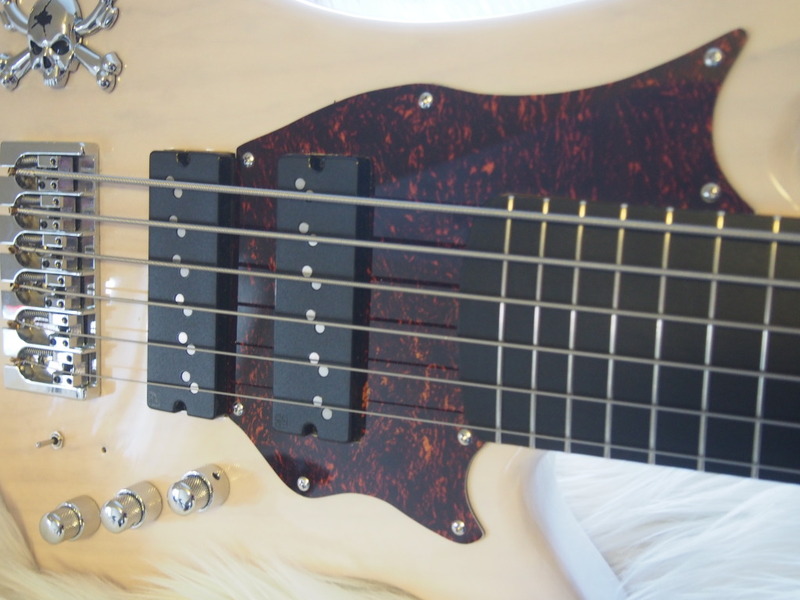 Below is a video review of the bass, and then photos of the first Angel bass! The Audere preamp and Nordstrand FatStack pickups are a perfect match! The tortoise pickguard compliments the retro bass in a fantastic way! The deep lower cutaway gives perfect access to the 24 frets on the neck. The headstock features lollipop tuners for retro look and feel!